creation of a trust if you want maximum protection for your beneficiaries and their inheritance. In family wills there are many reasons for such extra protection! For example: a minor child who cannot take control of an inheritance or a wasteful child who may squander it all or a disabled child who'd need enduring care etc. A beneficiary has a vested right to an inheritance and can normally claim the assets when he (or she) reaches legal age (around 18 years old). The beneficiary then has a vested interest (ownership) in the assets which can be attacked by creditors in case of insolvency. If however, you specified in your testamentary trust will that the assets will vest in the Trust (i.e. the trust takes ownership) until the child reaches 25 years of age (or until another proviso has been met) and only thereafter will it vest in the child, the assets are protected from creditors too until this proviso has been met. NOTE: A testamentary trust does not protect assets from the will maker's creditors. 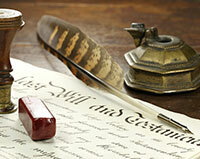 During probate the executor must settle all outstanding debts and fees before creating the will trust. He may have to sell some assets to service these debts. Only remaining estate assets can be transferred into the trust. Be sure to explore our additional information on the duties/obligations of a trustee and the legal process when creating a Testamentary Trust as well as how to divide amongst a number of trusts in Family Wills. Identify yourself, declare yourself to be of legal age, of sound mind, not under duress or undue influence and revoke all previous wills. Name your executor(s) and guardian(s). Give details of bequests, residual estate, alternate beneficiaries. Express your wishes on any funeral arrangements. Name the beneficiaries of the trust and how the assets must be divided. Name the trustees, their duties and powers/restrictions. 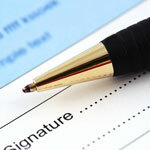 Specify the conditions or date or event upon which the trust will be terminated. The final step is to sign and date your will and have it witnessed as prescribed in law. 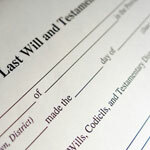 We have a number of free last will and testament forms to help you compile the first part. Below we'll take a detailed look at the second part that pertains to the wording of a testamentary trust will. Caveat: The wording below is solely provided to assist you in deciding how you would like to structure your testamentary trust. Consult with an attorney specialising in estate planning to draft the clauses in your testamentary trust will! "All property left to Johnny Doe in this will shall be held in a separate trust for Johnny Doe until he reaches the age of twenty five and shall only devolve upon him at that time. I name Peter Smith as trustee of the Johnny Doe trust and if he is unwilling or unable to serve, I name Helen Jones as alternate trustee. If Peter Smith cannot serve at any time after being duly appointed as trustee of the Johnny Doe trust, I name Helen Jones as successor trustee." "The Johnny Doe trust shall terminate when Johnny Doe reaches the age of 25 upon which the trustee shall distribute the remaining principal and net income of the trust to Johnny Doe, or sooner should the trust principal be depleted through distributions as stipulated." "Should Johnny Doe die before termination as stipulated above, then the remaining principal and net income of the trust shall be distributed to the beneficiaries named in his will or to his surviving heirs at law if he has no will." "Johnny Doe and Jane Doe shall be beneficiaries of the Doe Trust. If either of the beneficiaries should die before termination of the Doe Trust, then the interest of the deceased in the trust shall pass to the surviving beneficiary of the Doe Trust." "The Doe Trust shall terminate upon the youngest surviving beneficiary reaching the age of 21 years." "The trustee may consider each beneficiary's needs and income from other sources to make decisions regarding the distribution of assets, which may well result in an unequal distribution." Child A has completed his studies and is gainfully employed. Child B is still at school and is dependent on trust income for all expenses. 1. Make distributions to the beneficiary only as derived from the income of the trust, leaving all of the principal intact. 2. Surplus trust income not distributed shall be added to the principal." 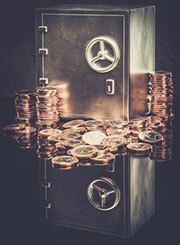 "The trustee must firstly distribute net income of the trust but thereafter may liquidate assets as need may be in order to provide for the child's maintenance, education, health requirements and living expenses until the vesting day of the trust." Upon the death of a beneficiary before any of the above happens. In this event any remaining assets of the trust will (usually) go to other nominated beneficiaries or as determined in succession law i.e. the beneficiary's rightful heirs. You should leave instructions in your testamentary trust will to provide for this eventuality. Does a Testamentary Trust Have to Go Through Probate? Yes. It is still created within a will and thus subject to probate. The executor will complete all the paperwork to create the trust as instructed in the will and as part of the probate process. Probate is required to change ownership of property from the deceased's name into the newly created trust, just as it is required to change ownership of property into the name of any other beneficiary. Conversely, Living Trusts do not have to go through probate, because the legal entity so created does not die. It lives on even after the death of the maker of this trust. And the trust already owns the assets, not the (now deceased) grantor of the living trust. Can easily be ended (dissolved) or amended i.e. assets bought or sold, trustees replaced, beneficiaries altered. The creator of the trust (grantor, trustmaker) is usually a trustee and can therefore control how the trust and its assets are managed. Once assets are transferred into the trust the grantor (trust maker) has no rights of ownership and changes can only be made with the approval of the beneficiary. Once finalised it cannot (easily) be revoked or amended unless there is valid reason in law to do so. However! 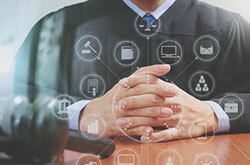 If the grantor of the trust named himself as beneficiary in the formation documents and specified terms for distribution to himself, he could regain ownership of property or money. Neither of the above living trusts are subject to probate. So you avoid probate costs and there is no delay in transferring assets to your beneficiaries. There are some advantages and disadvantages to both and pitfalls to avoid! You could also consider e.g. special trust for a disabled child, trust to fund education, charitable trust etc. Please Note: The information on these pages is focused on trusts created within a Testamentary Trust Will (i.e. upon your death). If you want to legitimately minimize your taxes and shield your assets and your children's inheritance through a living trust, it is vital to consult an asset protection attorney to assist you in creating your Living Trust! * How long does it take to create a testamentary trust? * What are the duties of the trustee? * Can a beneficiary be a trustee? * How will the trustee spend the money? * Can you decline being a trustee? * How does one dissolve a testamentary trust?